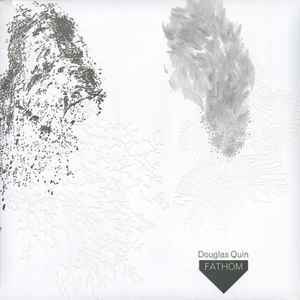 "Fathom" is a record by Douglas Quin issued in 2010 through Taiga Records, the record consists of four extended underwater soundscapes - two each from the Arctic and Antarctic. The recordings have been gathered over a period of 15 years. All copies have been pressed on 200g vinyl, housed custom letterpressed materials, included with the release is a sealed envelope containing an insert with specific locations, animals, and other elements heard.